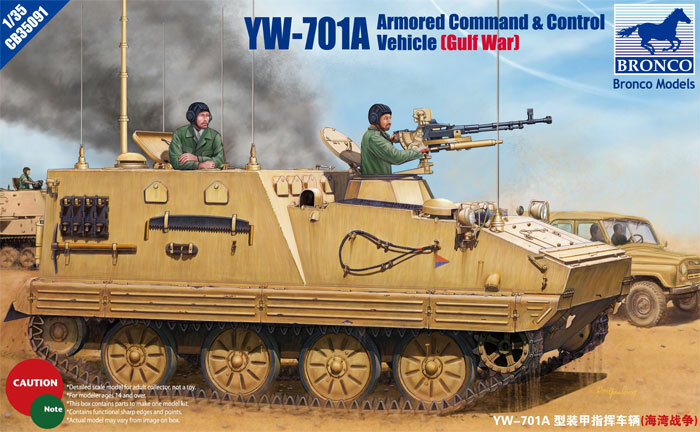 As the Chinese developed their first generation YW-531 series armored personnel carriers, the first major variant they created was the YW-701 armored command and control variant. 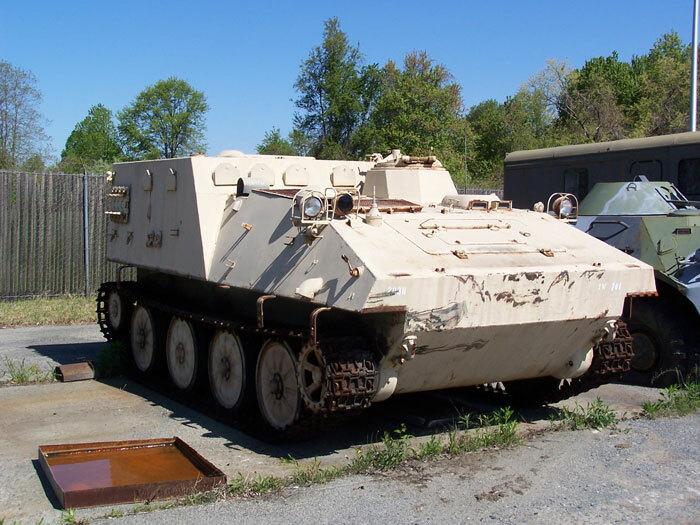 Essentially based to a degree on foreign vehicles like the BTR-50PK, M577, and other tracked vehicles, it had a “high-top” rear hull for use by a commander and his basic staff. Equipped with HF and VHF radio sets, it provided basic command and control for battalion level and higher echelons. The improved YW-701A model was similar to the YW-531C variant in its running gear and internal components, so it was easy to sell it to foreign customers in a package deal. The Iraqis purchased a good number of them and used them under the designation BTR-63-1. While it was odd to Western observers to see the YW-750 ambulance armed with the 12.7mm Type 54 (Chinese version of the famous Russian “Dushka” machine gun) it made better sense on this variant. Several were brought back from Iraq in 1991 as “souvenirs”. The 203rd MI Battalion has one YW-701A at Aberdeen Proving Ground which was brought back from Iraq. As previously noted Bronco decided (wisely) to release all three variants of the basic export YW-531 vehicle in kits (and later the Chinese domestic and Vietnamese variants as well). This is the YW-701A variant, and is nearly identical to the YW-750 kit except for the new upper hull, radio masts and view port apertures (the viewers are on the common clear styrene sprue in each kit). As with the other Bronco Chinese vehicles, it is hard to find and I actually ordered this one from Hobby Link Japan. As previously noted all YW-531 variants are relatively small vehicles (this one is much smaller than the US M577 series vehicles) but the kits all have a surprisingly large number of parts. Some are incredibly tiny (e.g. the individual bolts used to attach the spare track links to the hull) and are going to be very frustrating to deal with when installing them. But the biggest surprise is that while all of the hatches are all designed to operate with scale hinges, other than a single jump seat on the rear hatch there is not one whit of an interior; too bad here, as it needs some stretchers in that yawning cavern at the rear! The fenders require etched brass brackets to be added to mount the side skirts. The finished assembly mounts as a single piece in Steps 10 (left) and 11 (right). Unlike the previous kits this one shows the engine deck (B24) and engine access hatch (B7) as cemented in place. Ditto the hatches which are each installed with very petite hinges and are suggested to be left loose to open to again show empty space. The last step shows two stretched sprue antennas being added - but their term for it is “make the antenna by plastic frame channel with heat of fire”. The only name listed for reference is Phil Greenwood, and as previously noted he does not have a good command of the history of the vehicles. Two finishing options are provided, both for Iraqi vehicles in sand paint: one is sand with red/blue triangle markings and the other sand with black/white rectangular markings. The vehicles can be identified, with the first one being from 37th Armored Brigade, 12th “Nu'man” Armored Division; the second one cannot but would appear to be from the 1st Armored Battalion of an armored brigade from its colors. Overall, this kit “completes the record” of Iraqi Chinese armored personnel carriers for Desert Storm fans. Hopefully someone will come out with after-market markings, however. The photo shows the 203rd MI BN vehicle.